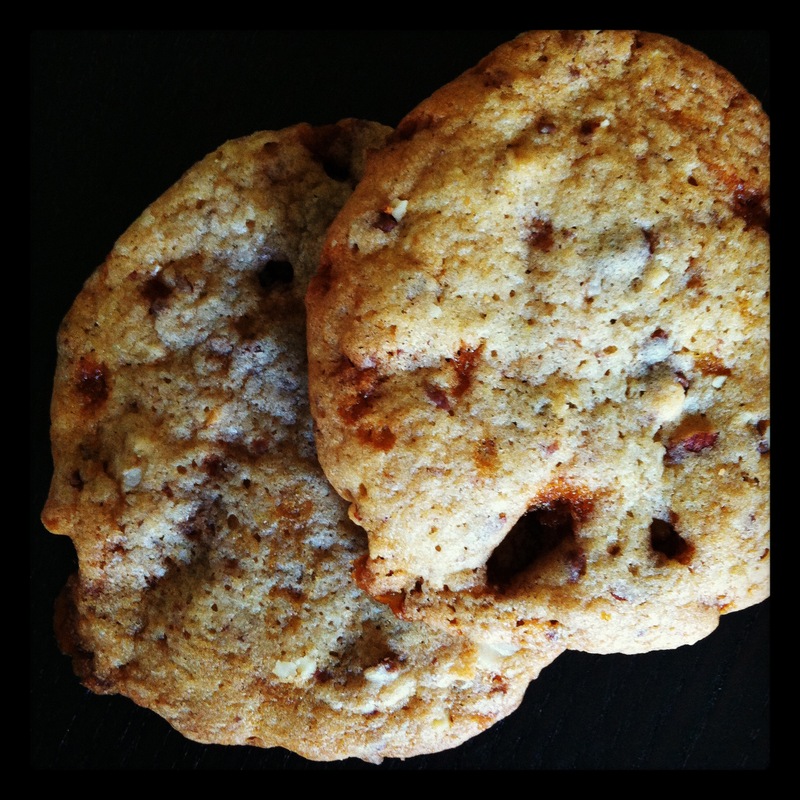 Just head on over to SimplyRecipes to make these Heath Bar-filled delicious cookies. The only change we made was to substitute brown sugar for half of the white sugar, to create a more caramel-like treat. We used the Trader Joe’s versions of Heath Bars (they came in a little tub like other candies), but I don’t think that made much of a difference in taste. The dough is delicious, but the soft-gooey-warm-right-out-of-the-oven-cookie is incredible.